ISLAMABAD: Pakistan judiciary witnessed Thursday a change in senior most portfolio of chief justice at a time when over 1.9million cases are pending in courts. Justice Asif Saeed Khosa, who will take charge as the Chief Justice of Pakistan today (Friday), said that currently there are 1.9 million cases pending in courts and only three thousand judges cannot dispense of so many cases. He categorically stated that the SupremeCourt will only use its authority to take suomotu action as a last resort. While speaking at a full court reference held in honour of the outgoing ChiefJustice Mian Saqib Nisar earlier today, Justice Khosa said suomotu notices during histenure will only be taken where no othersolution isin sight. “The authoritytotake suomotu action will only be used sparingly and forsignificant nationalmatters,” he said, adding that the court would setup parameters for suo motu powers. HONBLE CHIEF JUSTICE OF PAKISTAN, MR. JUSTICE MIAN SAQIB NISAR PRESIDING OVER FULL COURT REFERENCE ON EVE OF HIS RETIREMENT AT SUPREME COURT OF PAKISTAN, ISLAMABAD ON JANUARY 17, 2019. 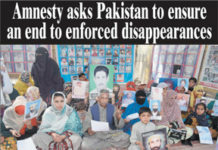 The judge said there should be no military intervention in civilian matters and vowed to speed up delivery of justice in civil courts. Military court trials are considered wrong worldwide, Justice Khosa said, adding that there was a perception that military courts held swifter trials. The incoming chiefjustice emphasised that all institutions need to work togetherfor the progress of the country, and that there was a need for conversation on whether any institution was interfering in another institution’s work. Civilian supremacy and accountability are indispensable for strengthening democracy, he observed.”Let’s talk about how to make civilian supremacy a certainty, let’s talk about how to ensure civilian accountability without compromising on democracy,” he invited. Running the state’s affairs is a serious responsibility, the judge remarked. He further said there was need for a debate on the charter of governance under the tutelage ofthe president ofthe country. CJPSaqib Nisar: While addressing the gathering,Justice Nisarsaid the top court has passed many landmark verdicts. “First isthe Gilgit-Baltistan’s verdict. Supreme Court took notice of the scarcity of water in the country. The entire nation gave donations to solve the crisis. 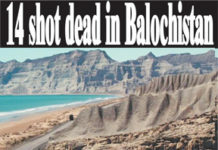 Second issue the court picked up was that of population growth,” he said. “[Judiciary] worked for the rights ofthe downtrodden, granted overseas Pakistanis the right to vote and gave every person the right to live with dignity. Court also took notice of private hospital charges, issuance of national identity cards by National Database and Registration Authority (Nadra) to transgenders. “The court also took notice of Tayyaba torture case as well asthe issue of children working as domestic servants. [I] tried to return the respect given by the people and tried to solve the issues plaguing sectors of health and education, both of which are rights granted to citizens by the Constitution. “The role of a judge is never easy,I am aware that the decisions we make shape not just the day to day lives of individuals, but have the potential to mould the lives of generations to come. 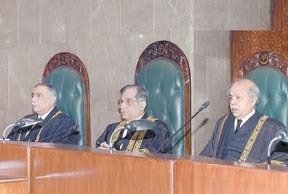 “Fear has no place in a judge’s life, nor does the fear of opposition bring so much as a wrinkle on his forehead, for his only duty isto theConstitution and the people for whom he stands as a beacon ofjustice I worked within the code of conductforjudges and it has been my honour to have served the nation.” The CJP thanked his fellow judges; “those who have laid down their robes and those who grace the bench with me today, for always extending their unqualified support to me in all my efforts in dispensing justice and for working tirelessly round the clock”. “I am also grateful to the employees of the Supreme Court and particularly each and every member of my staff, all of whom have invested long hours with me. “I am highly indebted to my beautifulfamily […]I would not be here today if it were not for you all.” Suo motu sparingly Addressing the full court reference, chiefjustice-designate JusticeAsif Saeed Khosa said that he had been working alongside Justice Nisar for 20 years but will now have to part ways as per the law. He said that the outgoing chief justice had faced many constitutional, societal and political challenges during his tenure and headed the judiciary in “very difficult circumstances”. Justice Nisar’s services for humanitarian causes will be remembered, he added. Outlining his plan for his upcoming tenure astop judge,Justice Khosa said that he will ensure the quick dispensation of justice. Referring to Justice Nisar’s efforts to raise donations to build the Diamer-Bhasha dams, Justice Khosa said that he too he wanted to build a dam. “Mian Sahib had once observed publically that he is left with only two ambitionsin life, i.e. to build dams and to retire the national debt. “I would also like to build some dams, a dam against undue and unnecessary delaysin judicial determination of cases, a dam against frivolous litigation and a dam against fake witnesses and false testimonies and would also try to retire a debt, the debt of pending cases which must be decided at the earliest possible. “Currently there are 1.9 million cases pending in courts.Three thousand judges cannot dispense of so many cases,” Justice Khosa noted. “The power to take suo motu notices will be used sparingly,” said the incoming CJP, “and only in respect of larger issues of national importance where either there is no other adequate or efficacious remedy available or the available constitutional or legal remedies are ineffective or are rendered incapacitated”. Speaking on the role of other courts, the SC judge said: “The trial of a civilian in a military court is considered wrong across the world.It issaid that military courts take less time to issue verdicts. Civilian courts should try to resolve cases in a short period of time. High courts should exercise powers within their jurisdiction.” “When has the judiciary interfered in the matters of other institutions?” Justice Khosa asked. “Army and intelligence agencies should not interfere in civilian matters.” “The job of the parliament isto legislate, not provide development funds. Transfers and postings are not among the parliament’s duties either.